Introducing the new Goldpaw SwiftLock Collar! Featured in our most popular colors, patterns, and coordinating stripes. 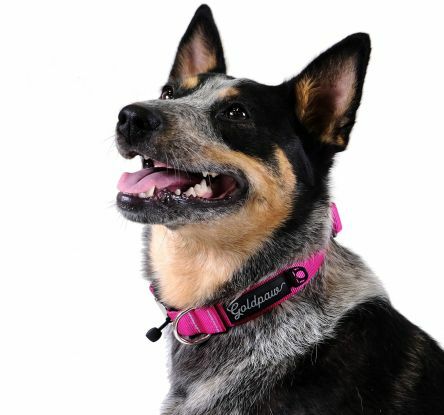 These vibrant collars are composed of super soft, 100% recycled polyester tubular webbing, feature a separate ID tag attachment and best of all - our magnetic SwiftLock buckle that makes gearing up for walk-time a breeze!